Clutch pedal issues have bedeviled Corvette owners since the advent of the C5. I got on the case after buying my first Z06 in August 2000 and pedal woes bit my new car. Since then, I’ve learned a lot about the maintenance a clutch needs to keep performing normally under aggressive driving. And I’ve shared those insights in many threads, emails, private messages and phone calls over the years. To get the word out more effectively, I’ve distilled that knowledge into a seven-minute video that lays out the symptoms and root cause, and demonstrate a protocol for prevention and cure of clutch pedal issues. I particularly want to thank George Westby, Director of the Advanced Process Laboratory of Unovis Solutions and his lead engineer Martin Anselm. They collaborated in the analysis of clutch fluid and clutch dust samples, which I sent them from 2006 Z06s. That report forms an important basis for concluding that clutch dust is infusing the clutch fluid of aggressively driven cars. And it is clutch dust that, if allowed to accumulate, constitutes an abrasive that damages integrity of seals in the hydraulics. For clarity sake, driven “aggressively” means cars that are launched or see high-rpm up-shifts or down-shifts. And consequential clutch problems affect many brands of car besides GM and motorcycles too. The good news is that we have figured out the root cause. That means the preventative maintenance (frequent swaps of the fluid via the master cylinder reservoir) definitely works. 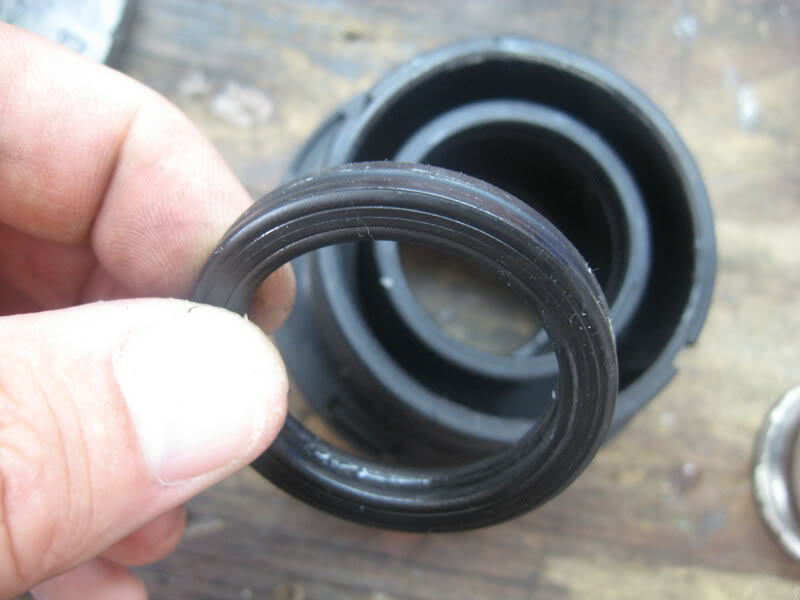 It also explains why, if the seals are already damaged by clutch dust, no amount of clean fluid will heal them. 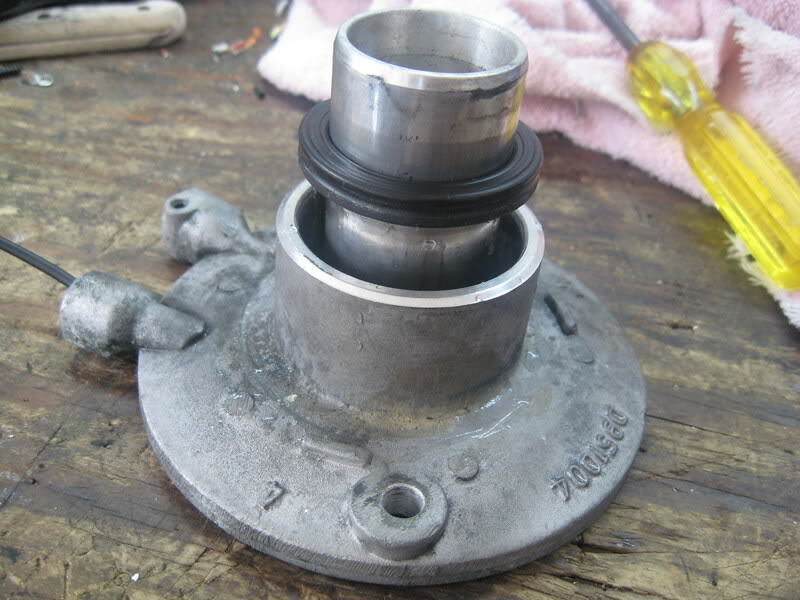 The crucial element is prevention, never allowing the clutch dust to accumulate in the fluid. The tell of its presence is murkiness or cloudiness. So don’t allow the fluid to stay murky. I think water entering the fluid via heat-and-cool cycles plays a roll in clutch pedal issues. So frequent changes of the clutch fluid ought to be part of routine maintenance for owners who don’t do aggressive launch or shifts. Suspect there are a few owners like that around. Hope the video helps more owners avoid the trouble and expense of clutch pedal issues…and helps GM further reduce warranty claims for clutch issues easily avoided by preventative maintenance. The routine I personally follow costs about $20 and two hours of my time per year. That’s a small investment with a big return in reliability and driving pleasure. The clutch hydraulic system consists of a master cylinder and an actuator cylinder. When pressure is applied to the clutch pedal (pedal depressed), the pushrod contacts the plunger and pushes it down the bore of the master cylinder. In the first 0.8 mm (0.031 in) of movement, the recuperation seal closes the port to the fluid reservoir tank, and as the plunger continues to move down the bore of the cylinder, the fluid is forced through the outlet line to the actuator cylinder mounted to the driveline support assembly. As fluid is pushed down the pipe from the master cylinder, this in turn forces the piston in the actuator cylinder outward. As the actuator cylinder moves forward, it forces the release bearing to disengage the clutch pressure plate from the clutch disc. On the return stroke (pedal released), the plunger moves back as a result of the return pressure of the clutch. Fluid returns to the master cylinder and the final movement of the plunger opens the port to the fluid reservoir, allowing an unrestricted flow between system and reservoir…. Close Quote. There you have if from the source. Summary: Clutch fluid circulates between the master and actuator (slave). Note: The volume of fluid in the entire system is a very few ounces. One ounce is in the master cylinder reservoir until diminished as you depress the pedal and create the flow described above. I've been following the protocol for eight years now and never had shift-related pedal issues. That's includes a lot of burnouts, launches, and red-line shifts. So what I'm doing is definitely effective. Brake fluid is indeed hygroscopic. By my approach the cap is off the reservoir for very brief periods and, while that occurs, each time you are swapping about 35-50 percent of the used fluid with new. Do that one-to-three times and the impact of water absorption from the atmosphere is essentially nil. In fact the more times you make the swap in succession, the less the impact of transitory water infusion. The industry standard for "wet" boiling point is the fluid containing 3% water. That's amount of water infusion is not going to happen in fluid that's kept clear and fresh via the reservoir. I suppose water infusion can be an issue if you remove the cap from the reservoir outdoors on a very humid day (or in the rain) and then take a lunch break. But few of us would do that. And a couple flushes by the protocol and the water is gone anyway. Those steps minimize moisture infiltration to a can that's been opened. I have a remote bleeder on my car but don't use it. I find the reservoir method is easier for me. But for those who wish to bleed via a remote bleeder, here is the way. Be very precise in the sequencing. If you're not, you will introduce air into the hydraulics. 1. Replace fluid in the reservoir with fresh DOT4. Clean diaphragm and replace cap. 2. Helper pumps the clutch pedal five times slowly full-top to full-bottom to full-top. Helper then takes foot off pedal. 3. You open the remote bleed valve. 4. Helper slowly presses the clutch pedal to the floor and holds it there. 5. You re-tighten the bleed valve. 6. Helper releases the clutch pedal. 7. You refill the reservoir to the fill-line and replace the cap. 8. Repeat steps until the expelled clutch fluid remains clear and shows no air bubbles. 9. Final step is to correct the fluid level in the reservoir. 10. Go for an easy drive without launch or high-rpm shifts. Check clutch engagement point and shift smoothness. 11. Repeat at lease one more time as required to disgorge trapped air. A driver can easily glaze the clutch on launch by inducing too much slip from too high a launch rpm or riding the pedal to keep the rpm up. Either way, the friction surfaces overheat and the clutch’s clamping power decreases dramatically. Once the friction surfaces cool down again (30-60 minutes), the clamping force is fully restored without lasting damage. Here are some other ways to glaze the clutch. (2) you position the rear wheels too far forward in the tacky rubber and then start the burnout. In this situation the rear tires have too much grip to spin at the hit of the clutch; so the clutch slips instead. This quickly glazes the clutch. (3) you do everything correctly except continue the burnout too long, allowing the engine speed to be drawn down by the growing traction at the rear tires. A crossing point is reached and the clutch begins to slip. That produces a spike in heat in the rotating surfaces and the pedal reacts negatively. On a high-rpm shift (using the LS7 as an example) the flywheel spins at say 7K (pre-shift) and 200-300 milliseconds later the post-shift rpm is drawn down to 4700 (1-2 shift), 5100 (2-3 shift), 5400 (3-4 shift). Those rpm deltas produce significant heat that must be dissipated from the rotating friction surface. A power-shift makes for an even higher pre-shift rpm and yields even more heat. That's one of at least three reasons that power-shifting is risky and can have unintended consequences. Once the cumulative heat reaches a break-point, the clutch either glazes entirely, losing clamping force after the launch attempt, or no longer disengages properly during high-rpm shifts. (1) Keep the clutch fluid clean including changes between passes at the track (usually after 3-5 passes with my driving style). (4) After every pass, I lift the hood and sniff the driver's-side firewall. If I smell even a slight "eau de clutch" aroma, I know I'm not getting the clutch pedal out fast enough. That rarely happens to me because I observe rules (1) (2) and (3) just above. The alternative is an aftermarket clutch with a different personality than the stocker. A pointed warning to owners is to recognize the limits of your clutch. That means not adopting the all-out racing launches and power-shifting advocated by some drivers with stronger and more heat-tolerant after-market clutches. Such approaches give a dramatically truncated clutch life. My approach should give at least 200 drag strip passes at stock power-levels, before the clutch requires replacement. Last edited by Ranger; 09-11-2009 at 09:56 AM. Is this really RANGER?? Nice to see you here again. Looking forward to watching those videos later tonight. great to see you back-will we see you testing a ZR1? This obviously took you many hours, days, months to film to yield a great end result. If you're drag racing video tutorial is anything like this, we are in for a great treat. Love the 4:05 mark with your watch displaying 24:00 time, like a true Ranger! Shouldn't this be stickied in the General forum so that everyone can see it? Much appreciated! Think your post should be referenced in the C5/C6/Z06/etc FAQs. Welcome back Ranger, you have been missed. Ok, I've never done this before. But after actually watching the video tutorial, I got myself to go buy the materials. Unfortunately, the local Kragen didn't have a huge selection of brake fluid. I found a Valvoline Synthetic Dot 3 & 4 Brake Fluid. Should that be ok? Thanks for the kind words, guys. Hopefully I’ll be on the grid more this year. Hi Short-Throw, not sure my watch was on the right time zone…that particular shot was morning light. Still working on the max acceleration project. High standards cut both ways. The downside is post-production takes a lot longer. Backchannel, I’m on a list for the ZR1, but I’d feel better proceeding once the car proves robust and reliable under aggressive driving. In the meantime, I’d love the opportunity to spend a day at a track rental, helping the owner of a ZR1 figure the car out. If you know an owner with that interest, send ‘em my way. Best fluid comparo I've found so far. Company does not sell brake fluid, but compiled the comparo as a service to its customers. Glad to see your back around Ranger. Thanks for sharing the video. RANGER what about MOTUL 5.1? As it can hold higher temp. Interesting. I been following your methods for changing the fluid and went to Valvoline Synthetic Dot 4 and have been having almost more trouble than before. Maybe thats the root of the cause. Im going to change it out and see what happens. Hopefully they have PRestone Dot 4 but i dont think so and thats why i went with Valvoline. Im glad to hear that valvoline may be the wrong stuff becuase I was beggining to think my clutch just couldnt take the power anymore. Thanks Ranger!